The process of lift design is something that we deal with on a daily basis here at Axess2, but no two projects will ever be the same, especially when it comes to bespoke lift design. There’s a lot of thought, planning and resourcing that goes into the initial design of a lift; we want to make sure that we have all the integral components chosen for a specific project before delving into the finer details of the project design. Once we have established these important components, we can offer our clients some finer touches to finish their lift off perfectly. 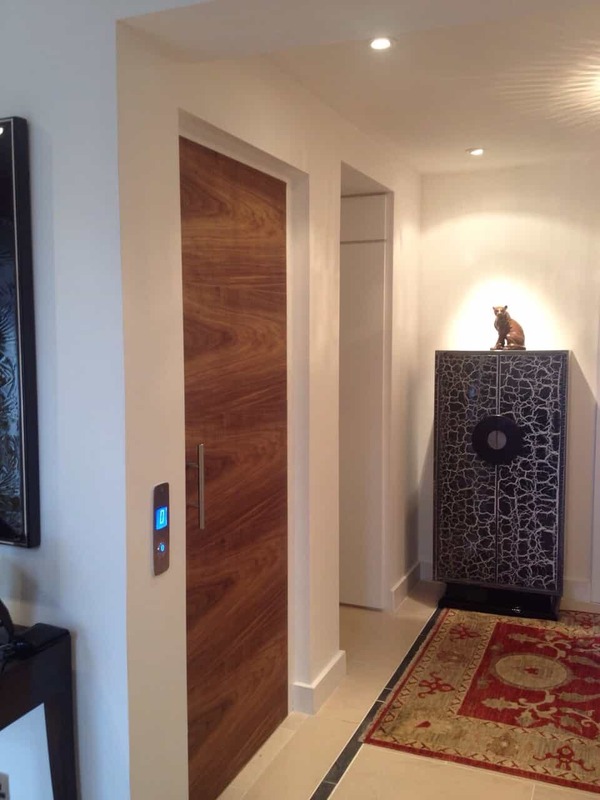 It is important to us that we offer these details to create a completely bespoke lift design service and to ensure that the lift fits seamlessly into the rest of the home. After having chosen the right cabin for a lift, we can then offer a variety of different finishes to really make the lift look stylish and sleek, as well as continue the themes that you have running through your interior. We want to break the stigma that lifts have to be silver and uninviting. Instead, lifts can be welcoming and stylish with a few tweaks to the aesthetics. Here at Axess2, we’re able to offer our clients a range of options to change the look of their cabin to give an extra level of customisation to make their lift one of a kind. Whether it’s the stainless-steel panels of the lift that you want to change, the interior panels which need swapping out for something more ‘you’, or even the material and colour of the floor of the cabin, all these aspects can be changed and adapted to fit your needs and requirements. Lifts don’t have to look the same, so why not take advantage of the opportunity to put your own personal stamp on yours? Having a choice of button might seem like a trivial design choice for some people, but we think that having complete control over everything that goes into your lift is important. As we’re giving you the option to change how the overall cabin looks and feels, it wouldn’t make much sense in limiting the buttons that we would install to just one design which may not work with some combinations of colour and style. Button choice can complement the interior when matched correctly; whether you’re looking to create a sleek, ultra-modern feel or a more traditional look, there’s a button design to suit any style that you’re trying to achieve. 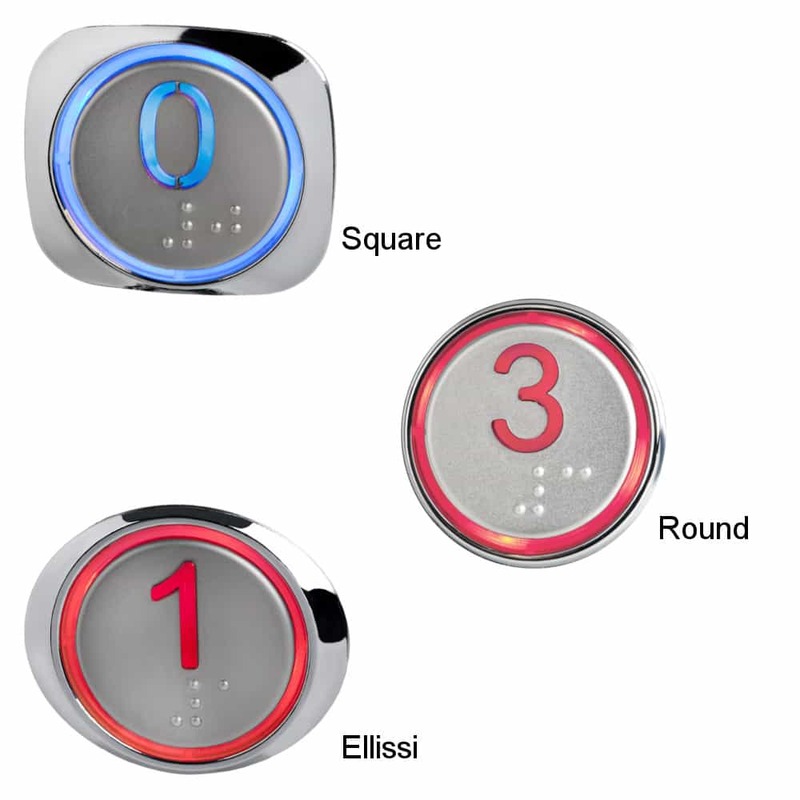 From buttons with different light colours, font types or even finishes, having the choice of so many buttons enables you to create a lift to suit your tastes! Displays should be considered an important extra for any lift; they alert you to which floor you are on or what floor the cabin is currently at outside of the lift. Keeping a consistent design inside and out is essential for style, and if you are wanting to make your lift fit in seamlessly with the rest of your interior, then it is important to choose a display which will fit in with the interior of your lift and interior of your home, too! Although displays are mostly all digital, it is possible to integrate them into your home with very little in the way of intrusion. On the other hand, if going bolder is something that you are looking to achieve, there are displays that can help you achieve that, too! The panel on which the controls are mounted can also be customised, giving you even more control over the look of the interior of your lift. As the controls will always be in the view of those using the lift, it’s important that it is factored into the design, too. You might not think that the panel will add much to the interior, but having a design which doesn’t complement the rest of your lift’s interior is going to draw even more attention to it – and not necessarily the good kind. For a sleeker option, you could choose a mirrored glass operating panel which can be completely customised to the look and feel of your lift. For a more traditional lift feel that still has style and sophistication, there are panel options which can house digital displays and buttons in an attractive manner. There are plenty of colours to choose from, too, so there’s a panel to suit any lift style and colour scheme. The door of a lift cabin is the first feature that you will come into contact with, and contrary to popular belief, you don’t just need to have the standard telescopic sliding doors that are synonymous with lifts all over the world. 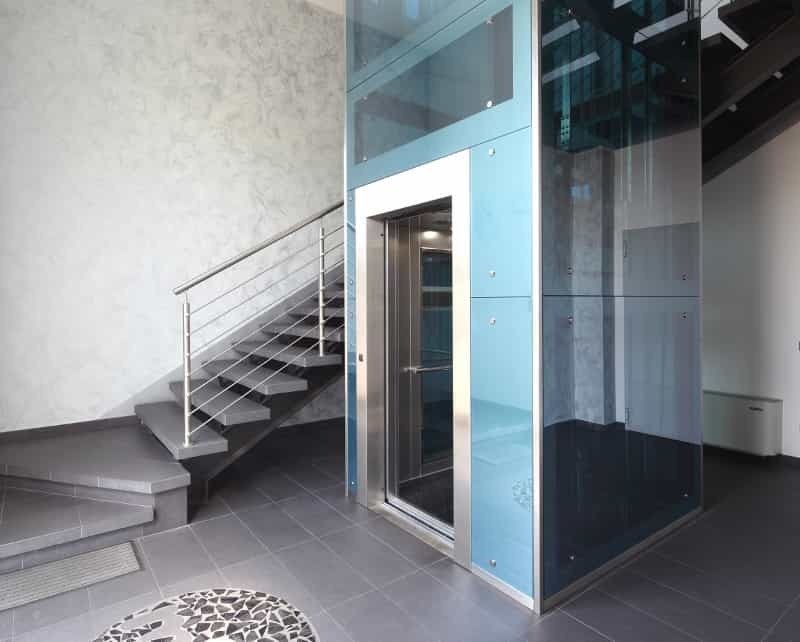 In fact, even this style of lift door has variations; rather than the standard sliding steel look, there’s also the option to use glass to give a lighter, more modern feel to a lift. Swing doors have started to become more popular, especially when it comes to home lifts. This can help hide a lift behind a normal looking door if this is something that you want – not everyone wants their lift to be completely visible to others! Here at Axess2, we want to show the world that no two lifts need to be the same, and that anyone can have a lift that suits their particular needs, tastes and requirements perfectly. We’re able to work alongside you and create the perfect lift for your home or business, and our years of expertise means that we can expertly install your lift with minimal interruption to your daily life. If you would like to find out more about our bespoke lift design and installation service, please don’t hesitate to get in touch with us today – we’ll be delighted to help! Follow us on Houzz to see our updates!